Bobrisky and Liz Anjorin destroyed a man on social media for leaving shameful comment in reaction to Bobrisky’s visit to Liz Anjorin show. 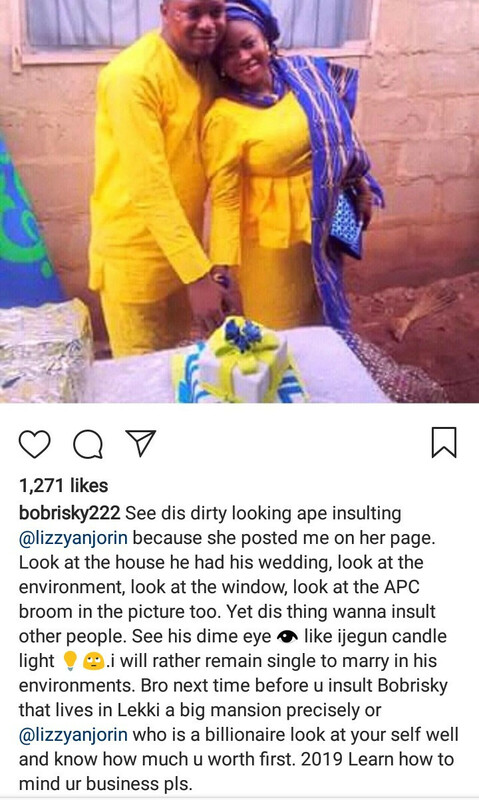 Liz shared a photo of Bobrisky at her turbaning and thanked him for coming to show his support. 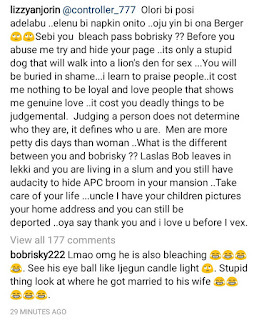 She also said Bobrisky was misunderstood by most and informed her followers that he’s just a nice person who came up with an ingenious way to escape poverty. 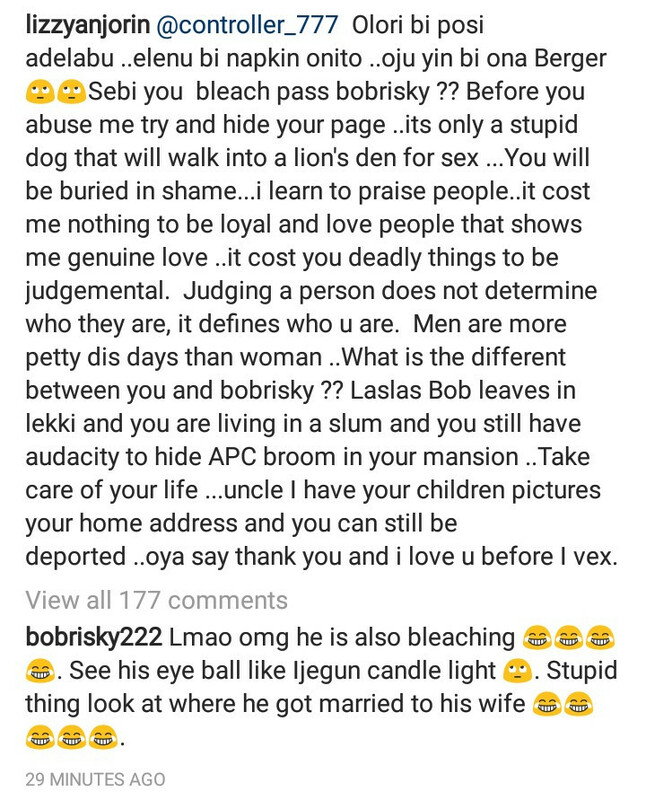 A male follower of Liz commented on the post and dragged Bobrisky. 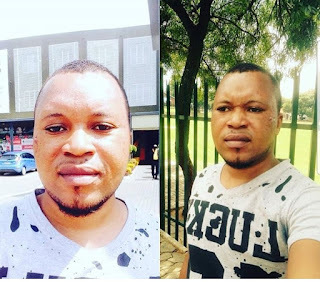 Unluckily for him, both of them had time and they went to his Instagram account, found his photos and used them to drag him on their respective Instagram accounts.